Sunday my husband decided at 3:30pm to tell me, “Hey, I’m gonna invite everyone over for dinner.” Panic!! That means I have 2 hours to clean my house and get something made, and not to mention that I hadn’t been to the grocery store in about a week. So, my cupboards were pretty bare. In this situation, this is one of my go to recipes, or in other words, when I have no time to plan out my meal. 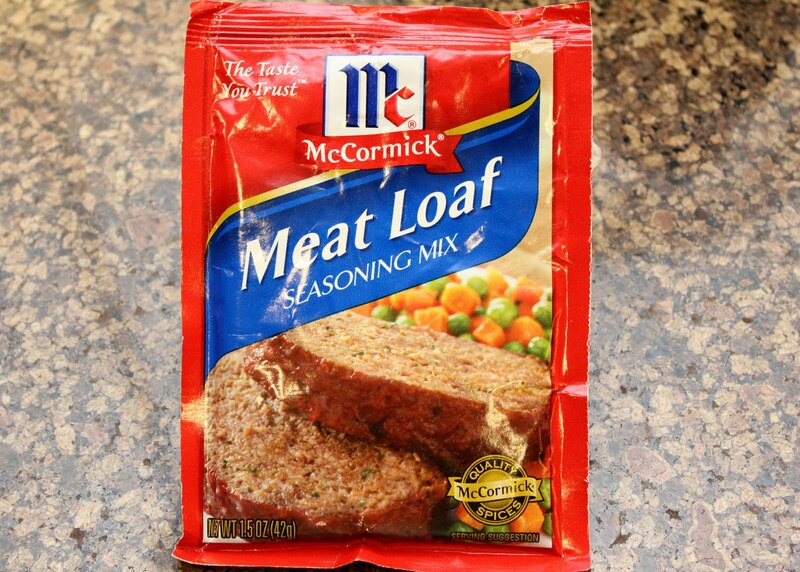 I’ve made a couple meat loafs from scratch, but I seem to always come back to this seasoning mix. It’s easy, it incorporates ingredients that you will almost always have, and it’s really good! 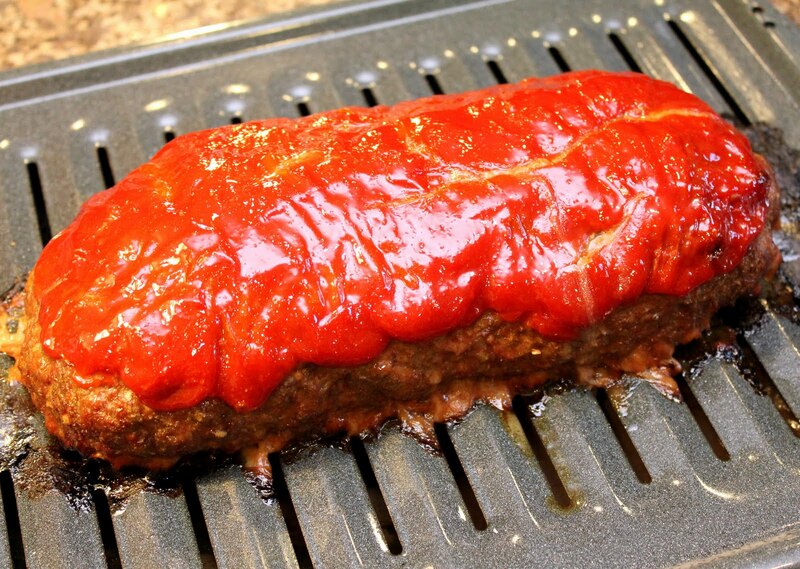 One thing that I do just a little bit differently then the recipe is I put about 1/4 cup of ketchup in the meatloaf itself, and I don’t scrip on the ketchup I put on top. Basically, I put as much as I possibly can put on top without it dripping down the sides. 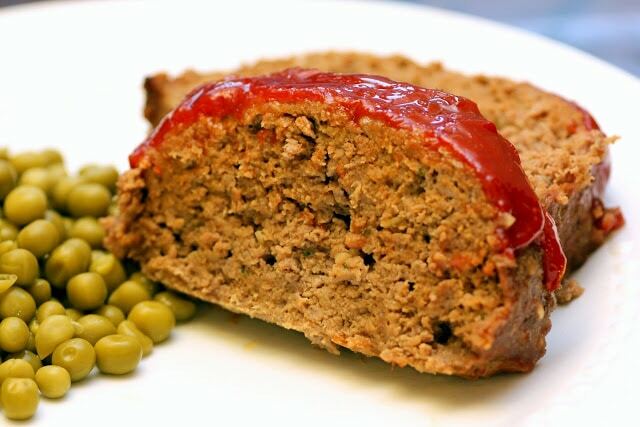 This just helps give the inside that little extra moisture, because I feel like meatloaf can easily be too dry, and the ketchup on top bakes to become a little sweet and is so yummy with the beef and seasoning. It’s just perfect. The best meatloaf recipe I have ever had. This is the seasoning mix you are looking for. You will find it in the baking aisle next to the seasonings. Mix all ingredients except ketchup, in large bowl until well blended. Shape meat mixture into a loaf. Place in foil-lined baking pan or 9×5-inch loaf pan. Top with ketchup, if desired. Bake in 375 degree oven 1 hour or until cooked through.